Cancer on the Brain was named a Finalist in the General Non-Fiction category of the 2013 Next Generation Indie Book Awards, which recognize and honor the best independently published books in 60 categories. Jay was a featured author in the 2014 Book Expo America in New York. A proud Longhorn, Jay Lefevers graduated with a business degree from the University of Texas, and holds an M.B.A. from Baylor University. He lives and works in Phoenix, Arizona. 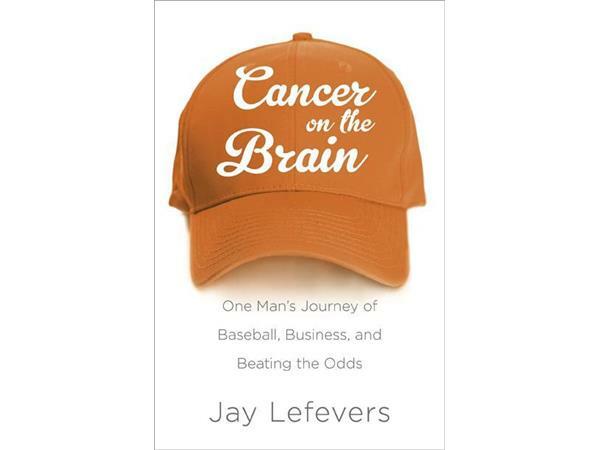 Cancer on the Brain is the true story of his battles with a brain tumor and cancer … while running and growing a business, being a husband and father, and coaching an inner-city Little League team to baseball victory. His former real estate company of 22 years, Lefevers Viewpoint Group, Inc., which was named to the Inc. 500 “fastest growing companies in America” list in 2008, was acquired in 2014 by the Valuation & Advisory Group of CBRE where Jay now serves as a Managing Director.